At 7 a.m. on Dec. 20, 2012, I walked downstairs in my usual morning daze to feed our cat, Hussy. Turning to go back upstairs, I saw that my son David, visiting for the holidays, had fallen asleep at his computer in the adjacent, still-darkened family room. He sat on the couch, his computer open on the coffee table in front of him, head resting on the computer top, arms dangling to the floor. I spoke to him from the stair landing loudly enough to wake him: “David, go to bed and get some sleep.” But he did not answer. 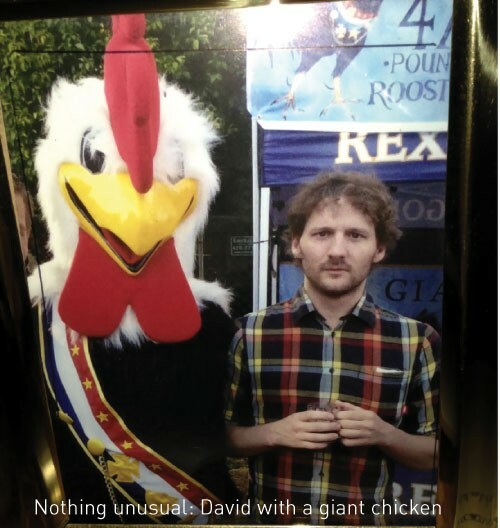 Just three days into his 30th year, David was dead. While my husband, Rick, called 911, I sat next to David, put my arms around him, and rubbed his broad shoulders and back, as if I could warm him back to life. I tried to comprehend what it could possibly mean that my son, for whom I would gladly have given my own life—what mother wouldn’t?—was dead. I glanced around and saw his notebook with a long to-do list lying next to the computer: “Recruit help for Saturday/Look for car/Buy Final Cut Pro/Research Scriptshare ...” And then I saw the bottle of Percocet. The autopsy report showed he had the equivalent of two glasses of wine and 0.58 ug/ml of oxycodone (the main ingredient in Percocet) in his system. Just enough. When you think about someone dying unexpectedly, you think of a car accident, an illness. But, according to Utah’s Department of Heath, more Utahns die accidentally from prescription-painkiller overdoses than just about anything else. The laughter, when it comes, however, is always in short spurts, and is often followed by anger and varying degrees of despair. David did not want to die. David should not have died. The Centers for Disease Control & Prevention reported recently that the number of accidental prescription-drug overdoses in the United States has reached 16,500 per year—a small city of deaths—claiming more lives than illegal heroin and cocaine overdoses combined. In Utah, there are approximately 400 accidental drug-overdose deaths per year, according to Utah State Medical Examiner Todd Grey—almost 20 percent more than the national average. Of the most commonly abused prescription drugs, opioids—used for pain relief—are the stars. Federal statistics now show nearly 2 million individuals struggling with addiction to the opioid-based painkillers Percocet, Lortab, Vicodin and morphine. Opioids are dangerously addictive because of the euphoric effect they produce in the brain. That effect lessens over time, however—and as it does, more of the opioid must be introduced to obtain the same effect. The addictive nature of opioids is not selective. They do not affect only the weak, the homeless or the mentally ill. They affect everyday people, who begin taking them believing they are an acceptable treatment for pain, and then find they cannot live without them. You don’t know because of the stigma and shame associated with the word “addiction.” To what extent was I ashamed, and did that shame, in some way, play into David’s death? This tale is in part my search for that answer, if not my penance. David had a knack for entrances; his eventual choice of acting should have been no surprise to us. He was born 10 days early, on Dec. 17, 1982, in Bloomington, Ind., an hour after I had driven his father to the airport, 90 minutes away, to fly to Salt Lake City for the funeral of his own father. David was born with a full head of black hair that turned white-blond only a few months later. The congenital back issues that would become his second-most challenging opponent were hidden within a beautiful shell. David was the second of four children. When I look through early photographs of Scott, David, Jessica and Carly, it is obvious that David was the mischievous one. I have to giggle at the one taken when David was 2 years old, covered in his father’s shaving cream. He looks up at the camera with no fear at all, as proud of the mess he had just made as if it were a beautiful work of art. 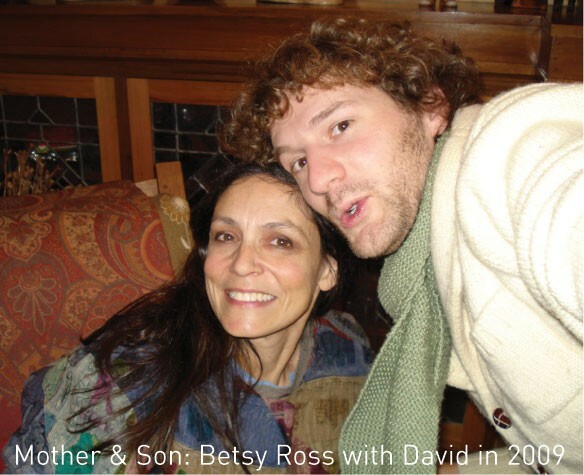 David was drawn to the performing arts at a young age, acting at the Utah Children’s Theatre, the University of Utah’s Theatre School for Youth, Pioneer Memorial Theatre and Salt Lake Acting Company, all before reaching high school. It was during his first year at East High that he convinced us that he wanted to go to a boarding school for the performing arts in Michigan. Accepted into the prestigious Interlochen Arts Academy, David alternately flourished and faltered as he took the necessary steps to grow into himself and his huge talents. It was at Interlochen that he began pushing the boundaries, directing for his senior project a mixed-media performance of film and theatre that won him praise from some and opposition from others. Challenging boundaries was an approach to art and life that would remain with him to the end. 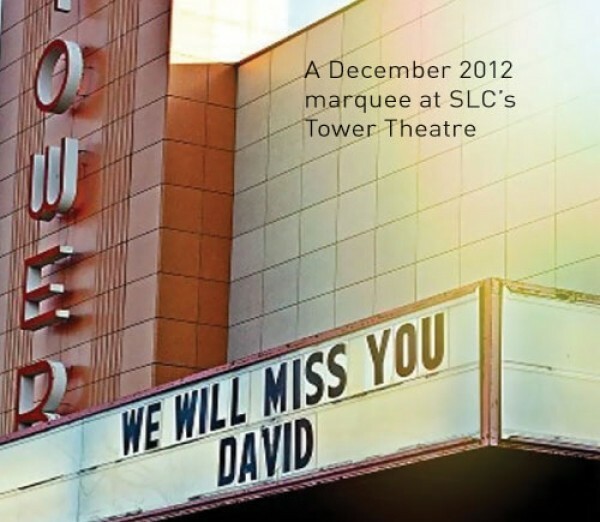 Even while David’s creative talents blossomed far away, he remained loyal to the longtime friendships with his SLC buddies, including best friend Pat Fugit. David and Pat had been friends since grade school. Pat says they met when he saw David pretending to slip on a banana peel on the grade-school playground. They spent too much time thereafter seeing who could stage the most convincing falls. They never outgrew the competition; each visit to our home was punctuated with the “bam” “crash” “pow” comic-book sounds of the boys seeing who could fall down the stairs most convincingly. As they progressed from 5-foot-nothing 10-year-olds to 6-foot 20-somethings, those crashes became more impressive.